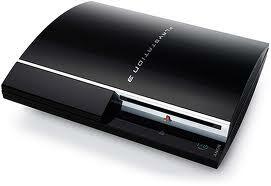 Since its release in November of 2006, the Playstation 3 has remained unhacked. 4 years is a very long run for being unhackable when you look at the ease at which the Xbox 360 and Wii were hacked. Along comes the PS Jailbreak, in a fashion that seems almost too good to be true. A single device that looks like a flash drive and can be plugged in to allow the running of unsigned code, and consequently the playing of backed up games. All of this is done on consoles running the latest firmware (3.41). You can see why many were skeptical upon the initial release. So how exactly does this miracle dongle work? From what we’ve been able to gather, it appears the the PS Jailbreak emulates what is called a Jig. A Jig is a device used by Sony technicians when they debug and troubleshoot consoles that are sent in for repair. It looks like the device then performs some kind of memory patch that allows the console to run unsigned code. The console is then able to launch the Backup Manager program and perform the magic. The dongle is upgradable, so when Sony inevitably patches the console to break this exploit, the makers can hopefully upgrade the dongles to work again. The Backup Manager program allows you to create a backup of an original PS3 disk to an external hard drive or the internal hard drive of the PS3. This should in theory help greatly reduce load times in games. There are some limitations as far as external hard drives go. The drive must be formatted in fat32 or fat. This means that if a game has a file that is over 4GB in size, you are out of luck for running it off of an external hard drive. Some games that are already known to have files over 4GB are Metal Gear Solid 4 and Uncharted 2. These must be copied directly to the internal hard drive. The makers of PS Jailbreak say that future updates will include NTFS support, so the 4GB file size limitation won’t be an issue. PSX-Scene has a really nice FAQ posted in their forum that can be found here. Can Sony ban me for using this? Yes. When you play online while using the Backup Manager, the game ID that is displayed is LAUN-12345. Sony could probably track this and do a mass ban, similar to what Microsoft does to modded Xbox 360’s. If you want to use this, you probably shouldn’t play online if you care about about getting banned. What does this mean for Homebrew? This is a very big step for the PS3 Homebrew community. When Sony removed the OtherOS support, many were furious that they had lost a really neat feature that set their console apart from other “dumb” single purpose consoles. With any luck, the PS3 will become more like the Homebrew scene for the original Xbox. As far as hardware goes, the PS3 has more advanced hardware than any of the other consoles out on the market. It will be very interesting to see what they can do with that much power, given what the scene was able to accomplish on a 733 MHz Celeron chip and 64MB of RAM that powered the original Xbox. So what does one of these miracle dongles cost? Unfortunately you will need to spend over $100 to pick one of these bad boys up. There’s also the big issue as to whether or not it’s legal to even own one in your country. There’s a pretty good chance that once these start creeping into the market, we will start to see generic knock offs offered at significantly lower price. It feels like the makers of PS Jailbreak are artificially inflating the price, as they have no idea when Sony will block their product, making it obsolete unless they can update it. I can’t really blame them. It’s a bit of a gamble as to whether or not you want the instant gratification of being able to hop on the bandwagon or want to wait for a cheaper alternative, and possibly chance Sony forcing a patch that makes it unusable. The fact is that we now have a legit way of backing up PS3 games and being able to play them back. The Key has been turned. The door is opening … we’ve just tested our first PS3Key – and it works! 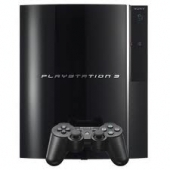 After the release of PS Jailbreak at a relatively high price tag, we are now introducing the New “PS3Key” Jailbreak to the market. We are now accepting pre-orders through our online store ( http://www.BestModChips.com ) at the great price of €39.99 ( approx 49USD ). Products are set to arrive on the 20th September 2010. USB device fully updatable by PC. Optionally PS3Key can be supplied with an “open” firmware which does not support backup loading. Users would then have to download a firmware update for PS3Key to get full functionality. Only works on Firmware 3.41 for now. BestModChips.com is an Authorized Distributor for PS3Key.